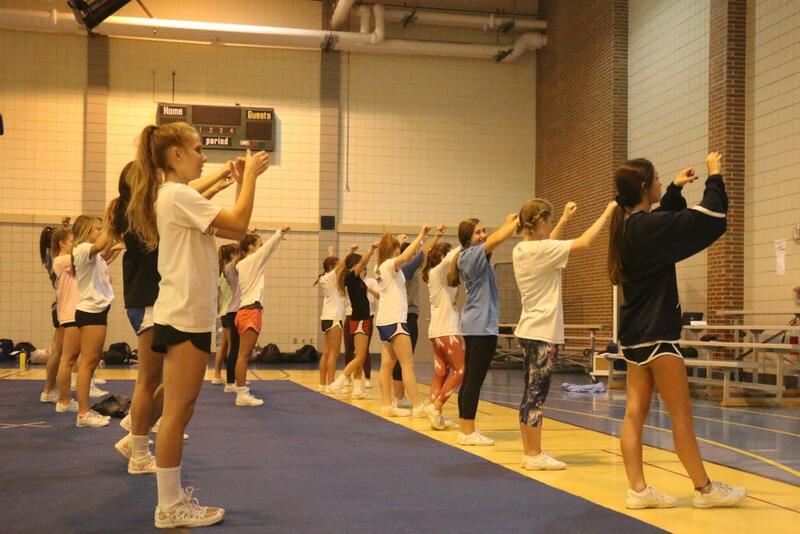 Winter cheerleading will support the women’s basketball team on Dec. 21. Winter Cheer team learns a new cheer during practice to perform during basketball games. The team practices several times a week in the field house to prepare themselves for games. As the cheer team’s season is coming to an end, they will continue to cheer for the boys’ basketball team as they are trying to compete at state. The team cheered for the boys’ basketball team twice on March 10. They cheered for the regional game and possibly the regional championship game, depending on how the basketball team does. Cheerleader and junior Kimsey Kelley said she looked forward to cheering for the regional game. “We are looking forward to watching our teams play and the energy that comes with the crowd with important games like these,” Kelley said. Head Coach Deanna Browning said she has seen growth and improvement in the team over the course of this season. “I’ve seen a lot of improvement in our stunting. The girls have worked hard to master stunts that we could not hit last year, so that has been exciting to watch,” Browning said. Browning also said she has noticed an increase in talent in this year’s team compared to previous years.